Do I qualify for the conditional discharge program? If you are a first time offender and charged with a disorderly persons drug offense in Morris County NJ, you may be eligible for a first offender program known as a conditional discharge. The conditional discharge program is available in Municipal Court on certain drug offenses including possession of marijuana under 50 grams and possession of drug paraphernalia. This is often referred to as a “section 36 application” because the defendant is making an application under that statute for a diversionary program. In order to be eligible for a conditional discharge, you must never have been convicted of a drug offense before. In addition, you must also never have used a diversionary program before such as conditional dismissal, conditional discharge, or pre-trial intervention (PTI). These programs are only available once in your life, so if you have utilized a program in the past then you are not eligible to apply again. 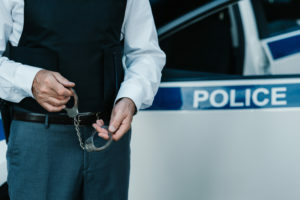 Our Morris County NJ criminal attorneys represent clients facing these types of charges in courts throughout Morris County including Roxbury, Randolph, Dover, Budd Lake, Victory Garden, Mendham, Madison, Denville, Morristown, and Parsippany-Troy Hills. Contact our Morristown offices now for immediate assistance at 908-336-5008. (1) Suspend further proceedings and with the consent of the person after reference to the State Bureau of Identification criminal history record information files, place him under supervisory treatment upon such reasonable terms and conditions as it may require. How do I get into the conditional discharge program? If you are eligible for a conditional discharge, you make an application. There is a $75 fee associated with the application. Then, the court has the probation department run a criminal history to determine if you are eligible for the program. If you are eligible, they will place you into the program and onto non-reporting probation for a six (6) month or one (1) year period, the length of the term is up to the judge. You must pay mandatory court fees and program fees which total about $800. You must remain arrest free during your probationary period. In addition, you must pass any drug tests that they conduct during your probation. If you comply with these conditions, the charges will be dismissed at the end of your probationary period. On the other hand, if you violate the probation by getting arrested for something else or by failing a drug test, the charges come back to court and must be dealt with. If that happens, you are not eligible to apply for the conditional discharge again. NOTE: You do not have to plead guilty to get into the conditional discharge program. The charges will be suspended during your probationary period and dismissed at the end. NOTE: The Court can suspend your driver’s license even if you receive a conditional discharge. It is important that your attorney makes sure this does not happen. NOTE: Once the case is dismissed you have no criminal record, however there is a record of the arrest. It is a six (6) month waiting period after you finish the conditional discharge and then you are eligible for expunge the arrest from your record. Arrested for Disorderly Persons Drug Charge Morris County – Can I get a conditional discharge? For more information, contact our Morris County NJ drug charge attorneys for a free initial consultation at 908-336-5008.